Features unobstructed access from all sides for easy stocking and retrieval. 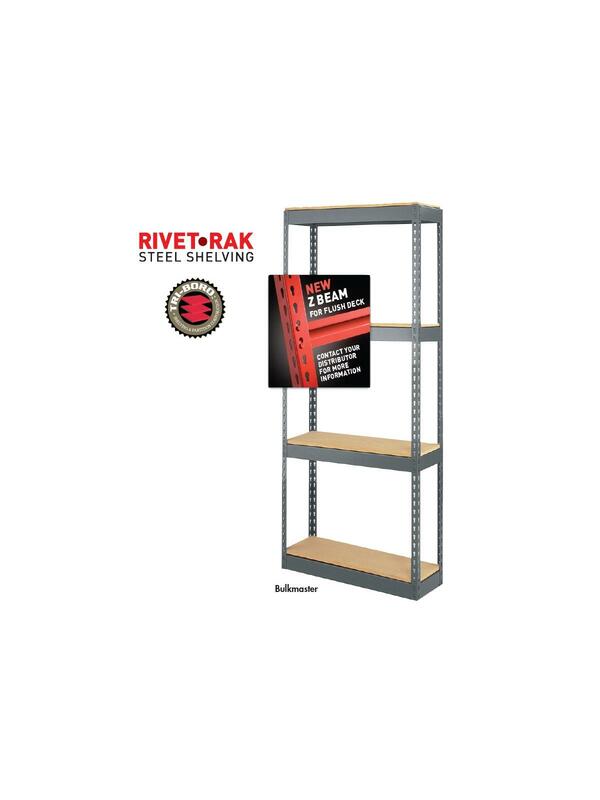 Rugged and sturdy Rivet-Rak™ Steel Shelving is perfect for medium to heavy loads in the warehouse, plant or office. Features double rivet beam top and bottom and uses single rivet beams for maximum vertical space on intermediate levels. 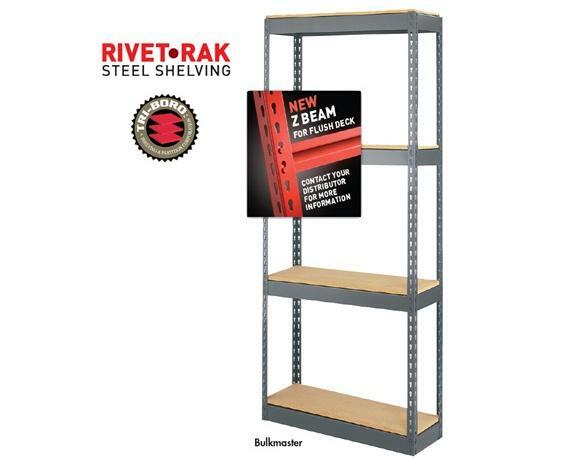 Shelves easily adjust on 1-1/2" centers. Double entry access as no diagonal brace is required. Boltless, clipless construction – assembles in minutes. Gray, baked-on enamel finish. FOB Shipping Point. Unit growth must be considered when designing a shelving layout. The actual outside dimensions of each unit is 1/2" greater than the nominal shelf size. Also a clearance of 1/4" must be left between units. See Related Items tab for Particle Board for Rivet-Rak™ Steel Shelving.